On Saturday we threw a huge surprise party for my mother in-law’s 50th birthday. The extended family came up from Southern California to celebrate as well, and we had such a great time. 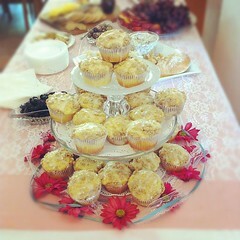 My sister in-law baked Streusel-topped coffee cupcakes as the birthday cake. 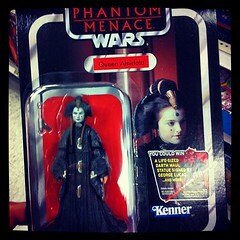 I snuck up to Target before work to get some Valentine’s Day goodies for the office and ended up finding the Queen Amidala figurine to complete my Phantom Menace collection. I now have all 11 of Amidala’s costume changes just from that movie. My mom came by my house while I was at home all day working on a paper for school. 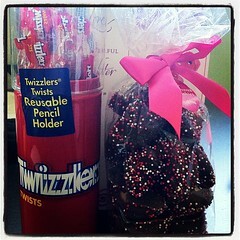 She dropped off my Valentine’s Day gift: Twizzlers and chocolate-covered fortune cookies. Yum-o! 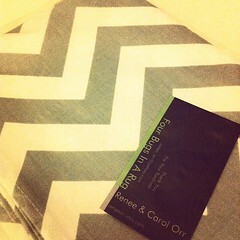 #FebPhotoADay Challenge Day 16 “Something New” – My new table runner arrived from Etsy yesterday! It looks so nice on the dining room table. Pictures coming soon.